Autodesk just announced and released AutoCAD 2020 to the world. Like the many releases before it, this one introduces many feature-rich enhancements aimed at making you more productive. If you feel like you’ve heard similar promises before, you probably have. Throughout my 23-year tenure as an AutoCAD user, it’s a tagline I sure feel I’ve heard Autodesk echo with each “new” release. But as they say, hindsight is 20/20 – and this is AutoCAD 2020! Shifting focus to AutoCAD 2020, it’s easy to surmise it as just another annual release. A release for the sake of releasing a new version akin to flowers blooming in spring. A release no more and no less exciting than the one before it. A release defined not by foresight, but instead the burden of hindsight. While some will undoubtedly look at AutoCAD 2020 through such a lens, I believe that lens is incredibly short-sighted. There’s no lack of opinions about what AutoCAD could be, and perhaps more importantly, what it should be. Like most AutoCAD users I know, I surely have my ideas about what I believe the future of the software should be. 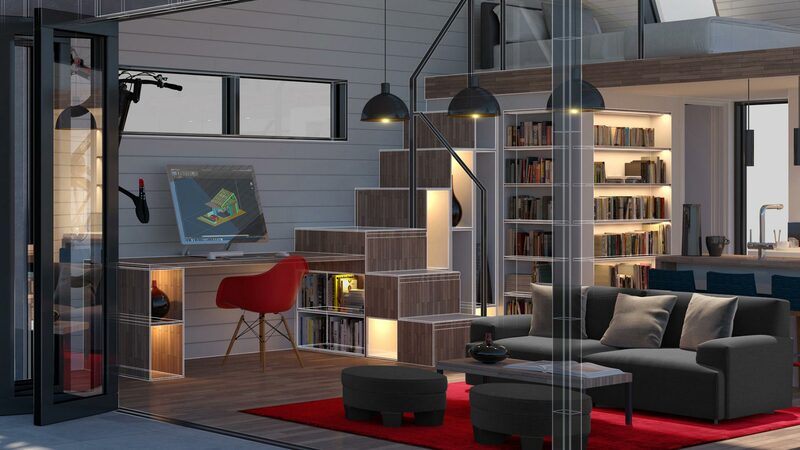 From Revit to Inventor and beyond, there’s no lack of highly specialized tools whose feature set is far more capable than AutoCAD. What many see as a weakness of AutoCAD is what I celebrate and see as its key strength. Others may disagree with me, but I don’t want AutoCAD to become Revit or Inventor. That’s not a knock on either tool, rather an acknowledgment of each tool’s strengths. Tools like Revit and Inventor were purpose-built for the specialized jobs they do. Despite the many powers each brings to the table, they are woefully inadequate when the scope of a job extends beyond the narrow focus of their intended function. In my experience, the power of AutoCAD isn’t in its specialization, but rather in its versatility. I choose AutoCAD because it doesn’t matter if I’m drafting a semiconductor or the solar system; the versatility of AutoCAD is up for the task. It’s though that lens I see the future of AutoCAD not as an increasingly specialized tool, but rather one that celebrates its long heritage of versatility. In the past, we defined that versatility through the lens of how efficiently AutoCAD let me draft a polyline or add a dimension to a drawing. While such functionality remains essential, I question if that’s where the priority needs to be today? When I started The CAD Geek in 2006, it was from a desktop computer attached to a massive CRT monitor that consumed nearly every square inch of my desk. A flashy new flat screen monitor soon replaced that CRT monitor, and a laptop soon replaced the desktop computer itself. Today, I write this post not from a laptop, but instead an iPad. Not just that, but through the magic of tools like Dropbox, I’ve reviewed and edited this post on both my laptop and my iPhone. The ease in which I can take a written document from device to device was unfathomable just a short time ago but is a baseline expectation I have for word processors today. Candidly, with DWG as ubiquitous to design as DOC is to written documents, I question why my workflows surrounding each are so different? More specifically, from tablet to desktop and mobile, if I can seamlessly take this blog post to any device I use, why can’t I do the same with a DWG file? In my eyes, therein lies the future of AutoCAD. Realizing the long-promised vision of being able to take my design from the office to the field and back again. Being able to share a design without concern of the recipient having access to AutoCAD, much less having the right version installed. At the end of the day, I don’t need AutoCAD to be more specialized – I need it to be more versatile. When I look at AutoCAD 2020, there are the feature-rich enhancements we’ve come to expect. Though I’m eager to use the new Block Palette and Drawing Compare tools, that’s not what excites me the most about AutoCAD 2020. What excites me most about AutoCAD 2020 boils down to the versatility it affords me. More specifically, the dream of DWGs being as frictionless to work with as the written documents I author is more attainable than ever. 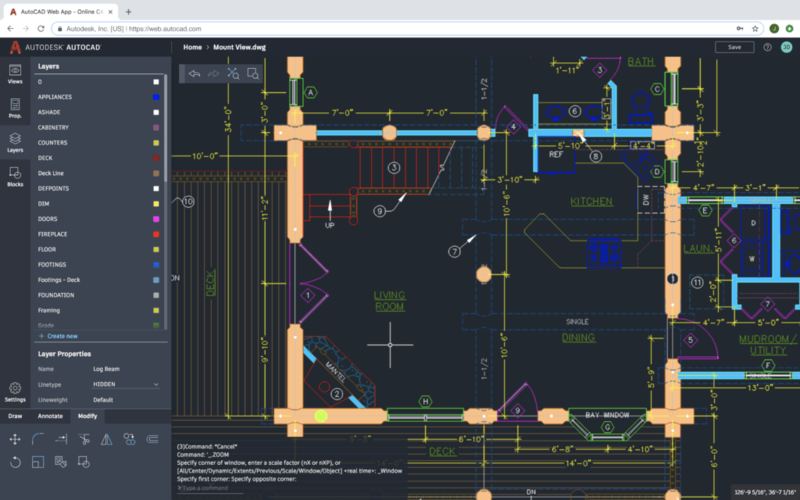 From desktop to web and mobile, the versatility of having anywhere access to AutoCAD is no longer an abstract promise, but rather a present-day reality. Like so many, Dropbox is where I store most of the files I create and edit. Although tools like Microsoft Word offered great integrations with Dropbox, AutoCAD was a lone wolf. Taking advantage of online collaboration tools meant moving DWG files to an AutoCAD-specific storage destination. 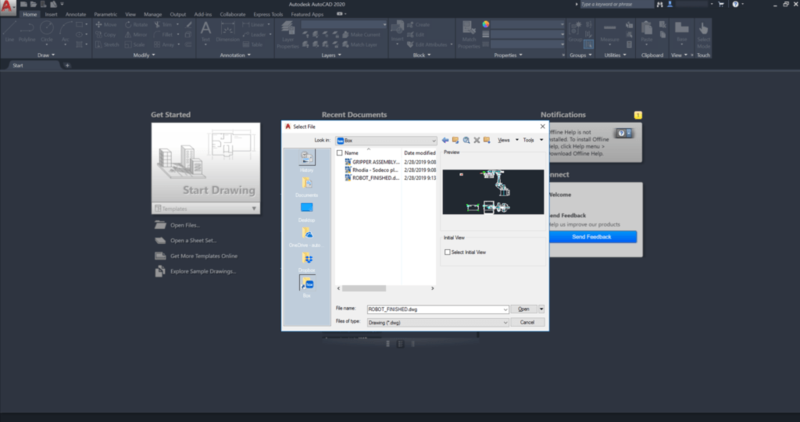 With AutoCAD 2020, I no longer have to choose between collaboration and siloing my data. Everything can remain in my chosen cloud storage service. From Dropbox to Microsoft OneDrive and Box, they all now integrate with AutoCAD web and mobile. If you’ve heard me talk about AutoCAD recently, there’s a good chance you’ve heard me gush about the continuously improving web version. What started as AutoCAD WS and later AutoCAD 360 is now AutoCAD Web. While all three are different versions of a browser-based AutoCAD experience, the current AutoCAD Web is completely unlike its predecessors. What fascinates me about AutoCAD Web is the fact it uses the core engine of AutoCAD (Windows). You heard me right. The core code that powers AutoCAD (Windows) also powers AutoCAD Web. Because both versions run the same core code, creating and editing drawings with AutoCAD Web performs like a desktop (not web) application. The web version even has a command line just like the Windows version. Despite the similarities, it’s important to note AutoCAD Web doesn’t include all the commands found in AutoCAD (Windows) just yet. Because of this fact, you’ll likely find the desktop version more efficient but make no mistake. AutoCAD Web is a competent tool! Taking hardcopy drawings into the field is a chore to say the least. Despite no formal training, I often jest about becoming a job site ballerina as a result of taking drawings into the field. You know the pose, attempting to balance on one leg while you use your other leg as a precarious writing surface for your drawings? AutoCAD Mobile lets you stop being a job site ballerina, and instead leverage a mobile device to interact with your drawings. Like the web version, AutoCAD Mobile also shares its DNA with the desktop version. The key difference is it lets you take files offline. So, with or without an internet connection you can interact with and edit DWGs from an iPad, Android tablet, or even Windows tablet in the field. Although AutoCAD for Mobile does integrate with cloud storage services like Dropbox, it also works with the Save to Web and Mobile function of AutoCAD (Windows). With it, no third-party cloud storage service is necessary. Just save your drawing to web and mobile and pick up where you left off from a web browser or mobile device. Despite the many specialized tools on the market today, AutoCAD remains the world’s most popular design tool. In my opinion, a key reason for that status is the versatility AutoCAD offers its users. Although I’d wager AutoCAD (Windows) remains the primary way most users interact with AutoCAD today, I also believe it won’t be long before web and mobile are just as critical as the desktop experience. I frame that opinion around my own experience authoring documents like this blog post. When Microsoft first introduced the web and mobile versions of Word, I scoffed at the idea of trading a powerful desktop experience for a lesser web and mobile experience. Despite neither the web or mobile version of Word offering all the features I use in the desktop version (even to this day), the versatility they offer makes each a critical part of my writing workflow. The idea I can take my AutoCAD DWGs anywhere I need, share the drawings with anyone regardless of their access to AutoCAD, and transition between all the computing devices I own is powerful. 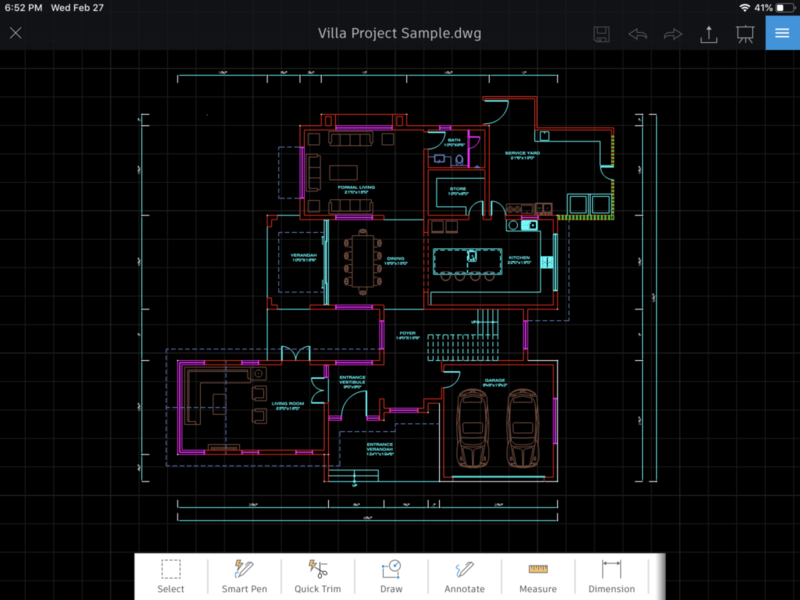 Because the barriers to accomplish even a fraction of that were so high just a few years ago, I believe the industry is still learning how to leverage the power and versatility AutoCAD (desktop, web, and mobile) now offers. Hindsight is indeed 20/20, but in my opinion, AutoCAD 2020 only looks back to recognize what makes it the world’s most popular design tool – the rest is foresight. Good article. Thanks for sharing your knowledge. Whether using Civil3D, MEP or Architecture, smart parametric objects is where the excitement and potential for productivity exist. As much as I love AutoCAD and drifting, using it like it was LT is like still driving with a carburator instead of fuel injection, or insustijg on teaveling on a Cessna 172 instead of a private jet. I think AutoCAD has the ability to grow well beyond what Revit, Inventor and other programs can. Everything that rises converges. It is just a matter of time before an all mighty CAD program will exist. We are already getting there, slowly, with acad. But it won’t be because of 2D tools. Too many cheap programs already offer that.